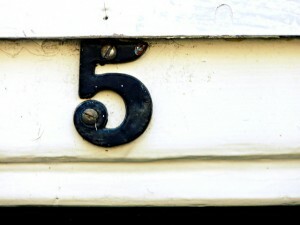 Time again for my picks for the top five online community management blog posts of the month. As Vice President of Delphi Forums, my community platform of choice is (spoiler alert) the forum. But even a forum lifer like me has to admit that the traditional forum isn’t always the best choice for a business creating a new community. In this post, David Sprinks of The Community Manager channels my summer camp shop teacher, who always reminded us to use the right tool for the right job. We community builders have a template we tend to follow: Find the right technology platform, recruit members, and build a community. But FeverBee‘s Richard Millington argues that it can often be better to create the community before finding a place to host it online. Through email, conference calls, or even (gasp!) real-life gatherings, Richard says you can attract those who may be reluctant to participate via your chosen technology platform. There is a lot of buzz around community building tactics like content curation and gamification these days. Lost in the hype is the fact that the oldest — and best — community building tactic is a good conversation. This post from AssociCom President Terry Coatta is an important reminder that a vibrant, engaging discussion is the true key to strong communities, especially small ones. In a blog post last month, I defined a community manager as a person whose job is to “oversee a group of people with a shared interest that engages in peer-to-peer communication online.” I also acknowledged that there are sub-specialties under the community manager umbrella, among them, the internal community manager. In this post, Deirdre Walsh does a nice job describing some of the hats an internal community manager must wear. Anybody who has managed a current events forum knows how quickly a policy debate can devolve into an all-out flame war. Quiip‘s Alison Michalk has some great tips on how to stay cool and keep the conversation on track. Did I miss any exceptional online community management blogs posts last month? Please add your comments below. Thanks Dave! Great to be featured here – you’re inspiring me to keep on blogging more regularly!